The Thomas Jefferson Presidential Dollar represented the third issue of the new series created to honor the former Presidents of the United States. 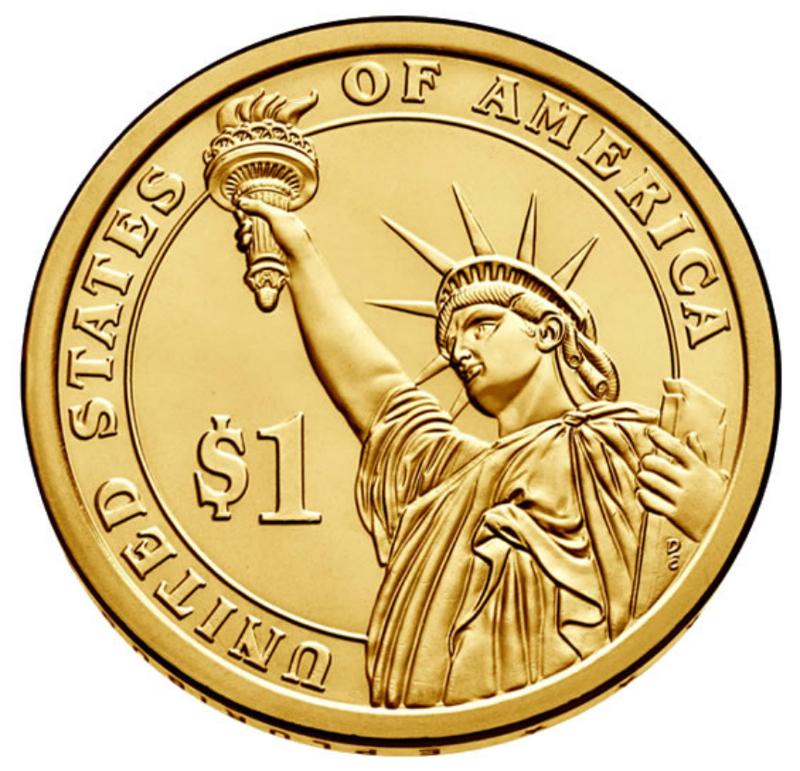 The coins were first released in circulation on August 16, 2007. Prior to becoming president, Jefferson drafted the Declaration of Independence. During his term, he doubled the size of the United States with the Louisiana Purchase and commissioned Lewis and Clark to explore the new territories. He served two terms as the 3rd President of the United States from 1801-1809. The official launch ceremony for the Thomas Jefferson Presidential Dollar took place at the Thomas Jefferson Memorial in Washington, D.C. on the day before the coins were released into circulation. The United States Mint Director Edmund Moy and President of the Thomas Jefferson Foundation Daniel Jordan were in attendance. The public was invited to exchange paper dollars for the new coins. The obverse features a portrait of the president and the reverse of the coin features the Statue of Liberty design. The obverse designer/sculptor was Joseph Menna. The reverse designer/sculptor was Don Everhart. 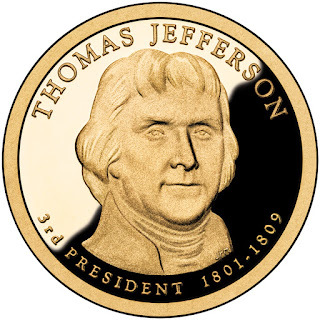 The overall mintage level for the Thomas Jefferson Dollar declined from the level of the prior release, but remained above 200 million. The Philadelphia Mint produced 100,800,000 coins for circulation, and the Denver Mint produced 102,810,000 coins. Numismatic products released by the US Mint for this coin included 250-coin bags, 25-coin rolls, individual proof coins, and the Historical Signature Set. The Thomas Jefferson Presidential Dollars were also incorporated into several annual sets. Thomas Jefferson (April 13 [O.S. April 2] 1743 – July 4, 1826) was an American Founding Father who was principal author of the Declaration of Independence (1776). He was elected the second Vice President of the United States (1797–1801) and the third President (1801–1809). Jefferson was a proponent of democracy, republicanism, and individual rights, which motivated American colonists to break from Great Britain and form a new nation. He produced formative documents and decisions at both the state and national level. Primarily of English ancestry, he was born and educated in Virginia. He graduated from the College of William & Mary and practiced law. During the American Revolution, he represented Virginia in the Continental Congress that adopted the Declaration, drafted the law for religious freedom as a Virginia legislator, and served as a wartime governor (1779–1781). He became the United States Minister to France in May 1785, and subsequently the nation's first Secretary of State in 1790–1793 under President George Washington. Jefferson and James Madison organized the Democratic-Republican Party to oppose the Federalist Party during the formation of the First Party System. In 1796, he was elected vice president. With Madison, he anonymously wrote the Kentucky and Virginia Resolutions in 1798–1799, which sought to embolden states' rights in opposition to the national government by nullifying the Alien and Sedition Acts. While president Jefferson pursued the nation's shipping and trade interests against Barbary pirates and aggressive British trade policies respectively and also organized the Louisiana Purchase almost doubling the country's territory. As a result of peace negotiations with France, his administration reduced military forces. He was reelected in 1804. Jefferson's second term was beset with difficulties at home, including the trial of former Vice President Aaron Burr. American foreign trade was diminished when Jefferson implemented the Embargo Act of 1807, responding to British threats to U.S. shipping. In 1803, Jefferson began a controversial process of Indian tribe removal to the newly organized Louisiana Territory, and, in 1807, signed the Act Prohibiting Importation of Slaves. Historians generally rank Jefferson as one of the greatest U.S. Presidents. Jefferson mastered many disciplines which ranged from surveying and mathematics to horticulture and inventions. He was a proven architect in the classical tradition. Jefferson's keen interest in religion and philosophy earned him the presidency of the American Philosophical Society. He shunned organized religion, but was influenced by both Christianity and deism. Besides English, he was well versed in Latin, Greek, French, Italian, and Spanish. He founded the University of Virginia after retiring from public office. He was a skilled writer and correspondent. His only full-length book, Notes on the State of Virginia (1785), is considered the most important American book published before 1800. Jefferson married Martha Wayles Skelton whose marriage produced six children, but only two daughters survived to adulthood. He owned several plantations and owned many slaves. Most historians believe that after the death of his wife in 1782, he had a relationship with his slave Sally Hemings and fathered at least some of her children. Jefferson died at his home in Charlottesville, Virginia, on July 4, the fiftieth anniversary of the adoption of the Declaration of Independence. During his first term as President, Thomas Jefferson virtually doubled the size of the United States when his Administration successfully completed the Louisiana Purchase in 1803 and commissioned the Lewis & Clark Expedition to explore the new territory. The United States Mint’s recent Westward Journey Nickel Series™ marked the bicentennial of these important events. - Act of March 3, 1803 — This Act directs the location of the United States Mint to remain in Philadelphia for five years. 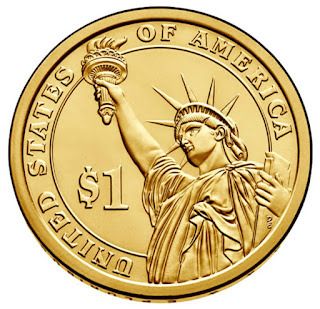 - Act of April 10, 1806 — This Act authorizes certain gold and silver coinage from foreign countries as legal tender for the payment of all debts within the United States. - Act of April 21, 1806 — This Act establishes the penalty for counterfeiting both foreign and domestic coins to be between three and ten years hard labor. - Act of April 1, 1808 — This Act continues to fix the location of the United States Mint in Philadelphia for five more years.